At Berkshire Hathaway HomeServices Crager Tobin Real Estate, we know that a move is an exciting opportunity to explore a new area. However, moving can also be very stressful and involves lots of thinking and planning. This process becomes even trickier when children are involved. Any parent needs to remember that a move for their kids can be a difficult transition and a major stressor in their children’s lives. Odds are that moving away from their school and friends won’t be something they’re excited about. Fortunately, parents can take steps to help make any relocation less stressful for everyone involved. While some people may need to pack up quickly, in most instances parents have plenty of notice before moving houses. They generally need to sell an existing home before they can head to a new location. This can take several months or even longer depending on the current housing market. Even with a full priced offer on an existing home, it can take time for the move to go through. Parents should use this time to help kids understand as much as possible about the new location and the reason for the move. To many children, moving can feel like a great source of loss. Leaving friends, family, and memories behind is not easy at such a young age. Kids who are given time to adjust will be able to to get excited and make plans stay in touch with their existing friends and networks. Children should participate in the moving process. Let them decide how best to pack up their own things and what they want to keep and throw away. They can also help parents decide on a new home. Children may help remind a parent that a house doesn’t have enough space for them play or that the house is on a busy street and may be slightly unsafe. By letting kids give their opinions and participate in the home-buying process, they will feel as if they are being heard and may even get excited about their new living arrangement. One of the best ways for parents to make the new move is to try to make the experience special for their child. For example, maybe your child’s bed is no longer in good condition. Instead of bringing the old bed along, why not buy a brand new bed to make your child feel special? Giving your child the ability to help design their new bedroom is a great way to get them excited and involved in the process. Letting them pick a theme for decorating or even a shade for the walls can make all the difference. Many places have homeownership organizations that will prepare the home to the parent and child’s specifications before moving in. Making the move special will give your child the chance to become exciting about the new place. Kids who are happy with the new house make it easy on their parents on moving day. 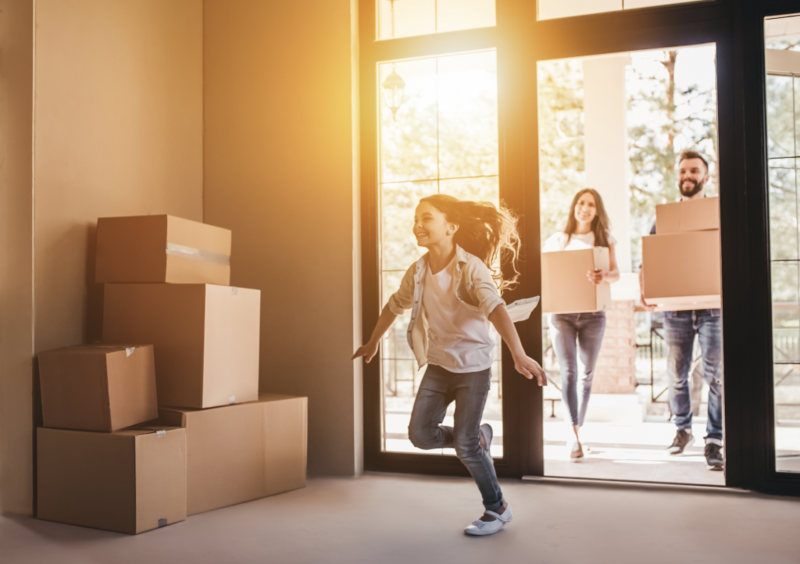 Moving with children can be difficult, but we at Berkshire Hathaway HomeServices Crager Tobin Real Estate are here to make the process as easy as possible. If you are considering buying a new home, don’t hesitate, call us today.